From a small family farm in Northeast Ohio to now living in Northwest Ohio managing his own business, Tim tries to live by the motto, “I am third” – God first, others second, and himself third. He married his high school sweetheart and has the privilege of being a dad to two college aged daughters. He loves being active in God’s creation, including running and working on landscaping projects. Please enjoy his debut novel. I grew up on a small family farm in northeast Ohio. I was a stereotypical middle child (a people pleaser) to no nonsense parents (typical of the 70’s and 80’s) who lived out their Christian life and demonstrated a hard work ethic to be successful. I enjoyed all sports and was always active outdoors. I was very involved in 4-H growing up, taking beef steers to the county fair. I would consider myself to have had a wide group of friends. After high school, I attended Bowling Green State University in northwest Ohio to study business. I became very involved in the campus ministry Active Christians Today (ACT) which grew my faith. A few months after graduating college, I began a corporate job in market research and management. Then six months later, I married my high school sweetheart, Sue. After ten years “on the ladder,” I decided to jump off and into the environment of a small business, thanks to a good friend. It suited me much better. I was directly involved in decisions and tasks. This was very satisfying. God knew what I needed! By this time I was also a dad, blessed with two wonderfully different girls. My oldest, Lydia loved playing instruments in the band (high school and other orchestras). Then my youngest daughter, Leah was very athletic, specializing in the sprints during her high school years. I love being their dad, and always will be, but guess what? Children grow up…. So it was time to listen to God in another area that he had gotten my attention over the years – writing a novel! Everyone remembers who the popular kids were in school. It’s amazing how quickly, even at an early age, the popular group is sorted out and determined. However, for three boys and three girls from Alliance, Ohio a seat at the popular table means having to learn many life lessons to figure out what God really values. 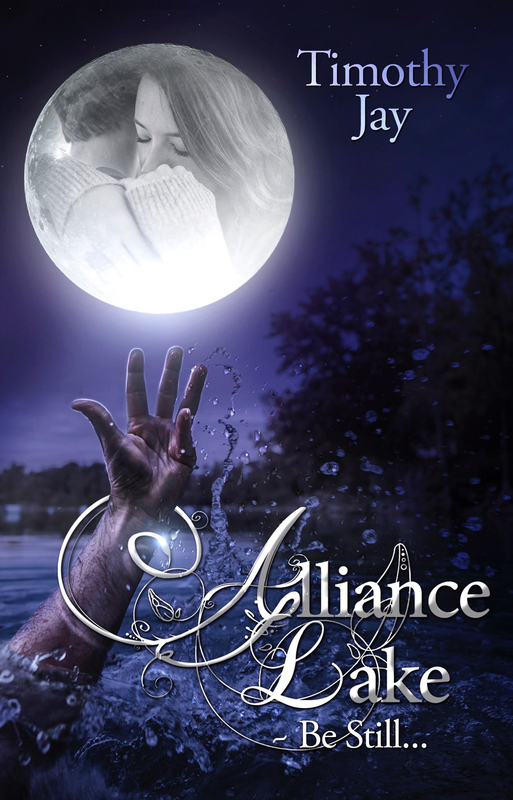 Alliance Lake is known for many serene things – that is why the screams that night forever changed the six teenagers. Can they turn a tragedy into a triumph? Follow this group of six during their coming of age journey through the 1970’s and 80’s when a shared tragedy will forever bond them together. And all the while, Alliance Lake becomes a refuge to some and resting place to others. Remember God has a plan. He always does. Will they hear and listen to His voice? Get ready to read and reminisce about everything from arcades to rotary phones and even muscle cars and making out. The 1970’s and 80’s are an extremely popular timeframe to explore. Don’t you love the simpler and more innocent vibe of Stranger Things? Well with Alliance Lake ~ Be Still you will get heavy doses of suspense, mystery, young romance, teenage angst and rebellion with strategic placement of irreverent humor that underscores the idea that we should not take ourselves too seriously. God is in control! Events will be listed here. Stay tuned!